A Community Event for Young, Old and...uh, everyone! Saturday, April 2, 2011; parade begins at 1 PM. Participants (Yes YOU!) gather at noon in The Occidental Community Center parking lot (located at the corner of Graton Road and Bohemian Highway). Dust off your silly-bone and bring your funny friends and family out for a day of laughter and levity in lovely Occidental. But come prepared to smile till your cheeks hurt! Group entries are ENCOURAGED! WARNING: Grumps and frowners may be transformed! 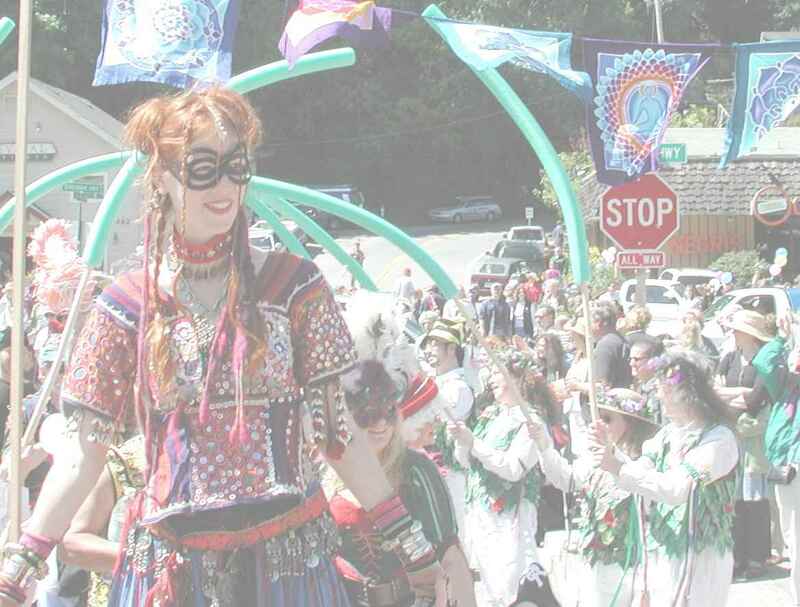 The parade will end at the newly reopened Occidental Center for the Arts, where there will be live performances and activities for kids. 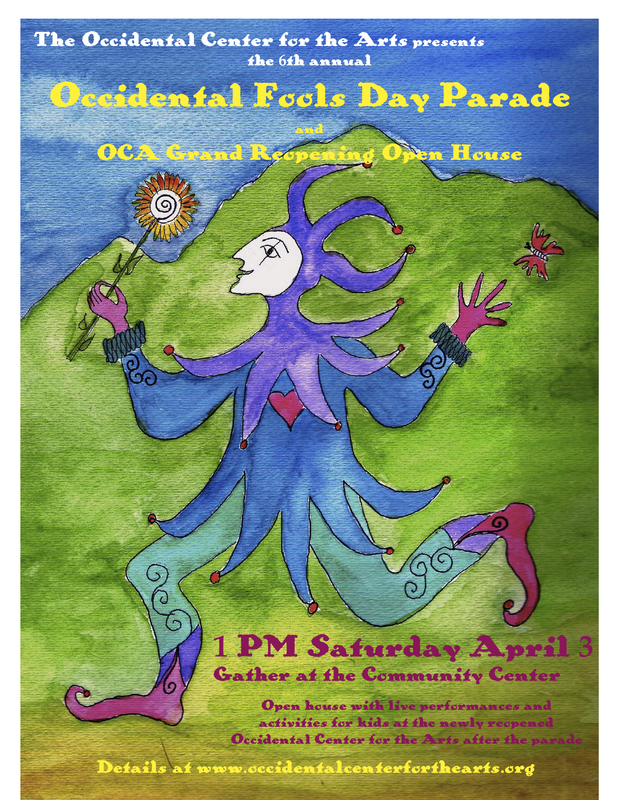 A fun and foolish afternoon of merriment and p ranks is in store for all those who come out to celebrate and participate in the Occidental Fools Parade.